A lot of us have accessories and jewellery that we have used a couple of times and are now just lying around in our closet. Embrace Jewellery, a home-grown, multi-brand jewellery store, is encouraging people to donate their pre-loved accessories and jewellery to our New2U Thrift Shop, instead of throwing them out. On top of that, one can receive a of $5 gift voucher, that is redeemable for the purchase of accessories and jewellery at any of their stores island wide. What a great way to encourage the spirit of giving. Shareen Wong, Founder of Embrace Jewellery, shared, “We’ve all heard of donation drives for pre-loved clothes or toys but there’s never been one for accessories/ jewellery so when I was clearing out my accessories drawer, I thought why not? I have so many pieces I haven’t worn in a while; surely they can be put to good use. I’m sure many women could be in the same boat, but just have no idea where to take their donations.” She further added that Embrace Jewellery has been wanting to do a charity drive for some time, especially to benefit women, and this was the perfect opportunity to empower women through the re-embracing of accessories/ jewellery. Celebrities like Jamie Yeo and Denise Tan donated some of their accessories to Embrace Donation Drive. 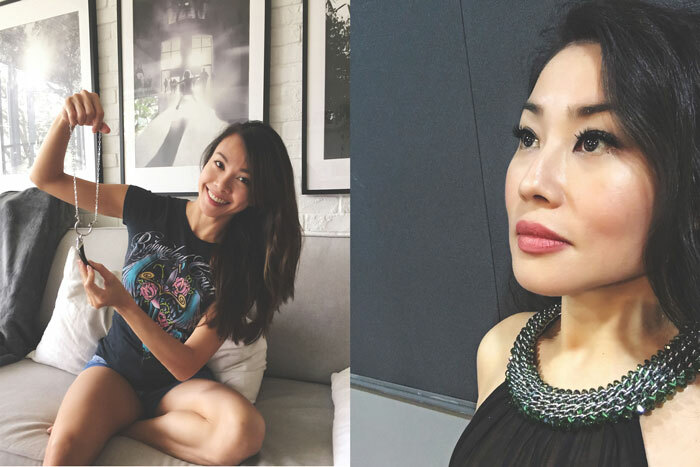 This initiative has proven quite popular and even celebrities and famous personalities like Diana Ser, Jamie Yeo, Denise Tan, Simone Heng, Keith Png, Cheryl Chou, Lin You Lin, Lionel Lim, Ning Cai, Oon Shu An, Rosalyn Lee, and Yasmine Cheng have joined in and showed their support for this cause. We’re truly thankful for the support Embrace and the public has shown to SCWO and the Star Shelter. Some pieces donated by celebrities to the Embrace Donation Drive. All the items collected from the donation drive, including those donated by celebrities, will be sold in our very own New2U Thrift Shop and during the much awaited New2U Bazaar in May 2017. The proceeds of the shop go towards the Star Shelter and other SCWO initiatives. Re-embrace your pre-loved accessories and bring them down to Embrace Jewellery stores today!